American technology satellite. 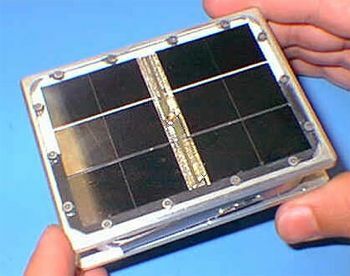 Picosat built by built by the AMSAT-NA (Amateur Satellite, North America) group, and carried an amateur radio transponder. Experimental satellite for Stensat Group, LLC, USA. Launched 2000. Status: Operational 2000. First Launch: 2000-01-27. Last Launch: 2000-01-27. Number: 1 . Gross mass: 0 kg (0 lb). Family: Technology, Technology satellite. Country: USA. Spacecraft: STENSAT. Launch Vehicles: Minuteman, Minotaur, Minotaur 1. Launch Sites: Vandenberg, Vandenberg SLC8. Agency: AMSAT. Bibliography: 2, 552, 554.